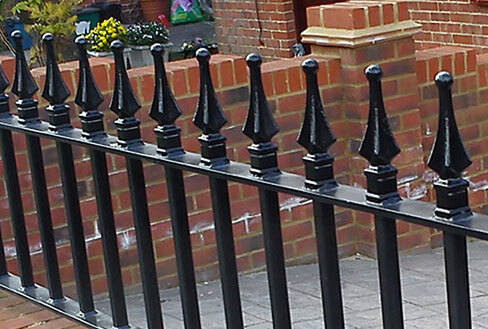 Highly popular are our traditional wall top railings with their period railing heads and matching gates. Choose from hundreds of different railing head designs to complement looks from the Victorian, Edwardian and Georgian eras. 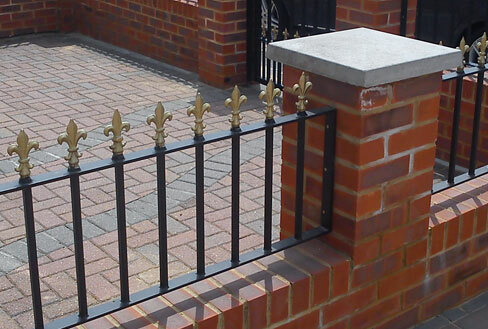 Adding kerbside appeal to any property, they also add value and security to your property. 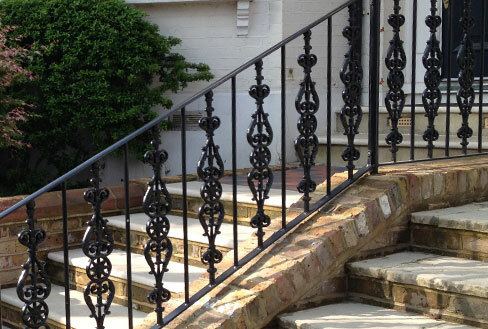 Just as with our cast iron railings and gates, our wrought iron options are also bespoke and made to individual order. Again, there are hundreds of differing heads and baluster designs to choose from. Among the array of options are obelisk heads, pineapple designs, Prince of Wales plumes and spearheads – all the traditional designs associated with cast iron railings but also allowing the modernistic look of introducing circles and other shapes. 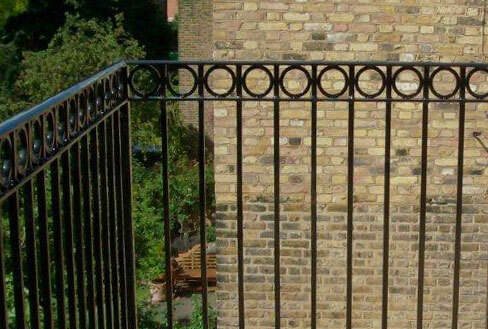 Bespoke and made in Britain to your specific order, there are hundreds of patterns and railing head alternatives for you to consider for those clients who want something more ornate than traditional railings, or who are restricted by conservation regulations. We will help you to decide which would be most suitable for your property and its surroundings. As with all our railing options, they can either be made to be individually drilled into plinths or walls, or subtly suspended over the finished level on a bottom bar. What makes these different from the other railing options available is that you are unlikely to have a railing head of any sorts on balcony railings, as people often want to be able to look out over their railings with minimum obstruction.